Japan has always been known as one of the most advanced countries in Asia and the world. The futuristic yet reserved Japanese have always intrigued people from other parts of the world. As a matter of fact, Gaya Travel thinks that such paradox is what makes the Japanese and Japan special. Talking about paradox, our recent trip to tropical Okinawa offered us a glimpse to the totally different side of stereotypical Japan such as glass and steel skyscrapers, dense and compact spaces, fast pace and eccentric cosplay fashion. It is interesting to find out that the Japanese landscape is indeed diverse, therefore inviting people to realise that Japanese panorama are not only limited to the snowcapped Mount Fuji or a meticulously manicured gardens full of bonsai plants and sakura trees. Okinawa truly challenges the Japanese landscape stereotype. Occupying the southern half of the Ryukyu archipelago that stretches between Kyushu and Taiwan, Okinawa consists of 160 large and small islands (but only 48 are inhabited) that stud over a vast ocean area, centering at the latitude of 26 degrees north and the longitude of 127 degrees east. Okinawa is the only prefecture in Japan where the entire area falls into a subtropical oceanic climate. Currently there is no direct flight from Kuala Lumpur to Okinawa so Gaya Travel had to endure the seven-hour flight from Kuala Lumpur to Tokyo on Japan Airlines before proceeding with another two hours flight from Tokyo to Okinawa on board Jetstar. However, based on the recently concluded arrangement between Changi Airport in Singapore and the Okinawa Prefecture, direct flights from Singapore to Okinawa are in the offing. Though the average annual temperature is 22.7OC and the average low temperature is 20.5Oc in Okinawa, it is advisable to bring a jacket along with you as temperatures in Tokyo might be different from Okinawa and transits might take some time. As in my case, I was in transit at Narita Airport for almost nine hours and the temperature in Tokyo was 16OC when I arrived – minus my jacket – since I was flying into subtropical oceanic climate, Okinawa! Naha, the capital city of Okinawa, this 40-year old restaurant serves traditional Okinawan and standard Japanese menu in a traditional Japanese setting. Okinawan extensive traditional dining offerings include thinly sliced pig ears, cucumbers, carrots, radishes with peanut vinegar sauce, food fermented in vinegar, peanut tofu, fresh slices of raw fish, glazed pork, grilled prawn with sea urchin sauce, tempura, rice, custard-like dish containing shrimp and vegetables, tempura, miso soup, pickles and dessert. Muslims may choose the pork-free dishes – we enjoyed the restaurant’s shrimp tempura that tasted divine! The best part of having your dinner at Urashima is that not only it serves Okinawan traditional meals, diners will also be entertained by ten traditional Okinawan dance performances such as the Kagiyade Fu, Me Nu Hama, Kanayoamakawa and Nuchibana. This one hour classic performance is free of charge for those who dine in the restaurant while those who prefer to just watch the performance without dining will be charged ¥1,650 per person. The dinner at the Urashima Dinner Theatre was really satisfying, not only because of the food but also because of the enjoyable dance performances. We then walked about 10 minutes from the restaurant to reach Rihga Royal Gran Okinawa, a four-star property. 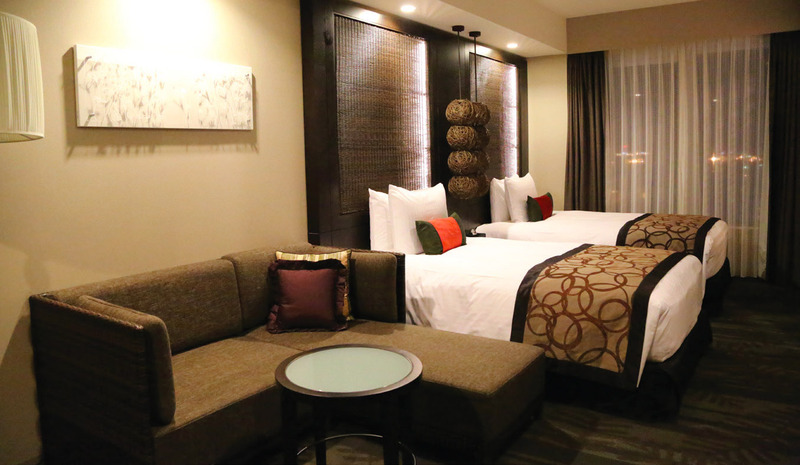 This hotel is strategically located in the heart of Naha city, within walking distance to the Naha Bus Terminal, monorail and large shopping malls. Rihga Royal Gran Okinawa offers great service and beds that are so comfortable that we almost did not want to get out of them the following morning. On the second day in Okinawa, we were taken for a tour around Naha Airport and learn about the facilities and services it offers to passengers. Like the other airports in Japan, Naha Airport has a design that enhances passenger and baggage handling capabilities, complemented with friendly staff to help passengers whenever needed. There are also duty free shops, food courts and convenience stores to meet the needs of travellers. After the airport tour, I went to Ana Intercontinental Manza Beach Resort, located about an hour’s drive from Naha. The resort sits on a beautiful beach fringed with lush vegetation and often becomes the choice for couples to hold their beach weddings. Since Okinawa is blessed with crystal clear sea and white sandy beaches, the destination is popular among Japanese from the other parts of Japan and even elsewhere when it comes to holding beach weddings. Ana Intercontinental Manza Beach Resort is one of the resorts that provide wedding services in Okinawa. Chapels are built with glass walls facing the sea that open up to magnificent and priceless view of the ocean, making the nuptials held there all the more special. The resort has two chapels for such purpose: the Aqualuce Chapel and the Coralvita Chapel, both come complete with ballrooms, changing rooms, waiting rooms and various other wedding facilities. For couples who wish to tie the knot in a special way at any one of the chapels, they need to reserve far in advance since those chapels are high in demand throughout the year. By the time we concluded visiting the beautiful wedding venues, it was already time for dinner. As such, we were taken to a park facing the sea to experience barbeque dinner with locals from Yomitan Village. There were Okinawan noodles, tuna and countless seafood that are fresh from the sea! Besides food, the villagers prepared a special Okinawan dance performance accompanied by a traditional musical instruments, including the sanshin, a three-stringed instrument that is an improved form of the Chinese musical instrument called sangen. Sanshin’s sound chamber was made from the skin of a poisonous Okinawan native snake called habu. These days however, the instrument uses imported python skin and synthetic leather due to habu’s extinction. The sounds of the Sanshin, when combined with other traditional musical instruments, somehow managed to pull me to dance together with the villagers that night. The second night of my stay in Okinawa was at the Nikko Alivila Resort, a four-and-a-half-star resort, located by the beach and had been the favourite choice among travellers. This is not surprising since the service and cleanliness of this resort is outstanding. The rooms are spacious and have balconies facing the sea. Nikko Alivia Resort is definitely a good choice if you are looking for a place to stay within the Yomitan area. 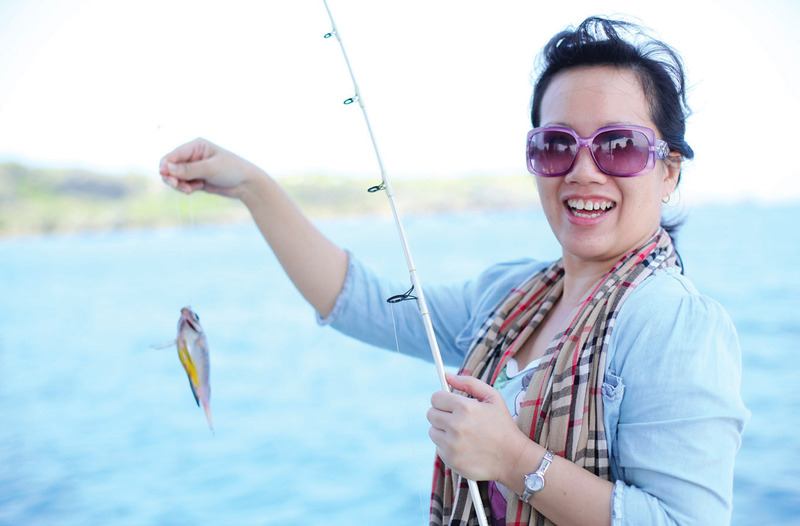 On the third day in Okinawa, we went to the sea near Nikko Alivia Resort for whale watching and fishing activity. Here in Okinawa, every year from January to April, the surrounding waters of the island become breeding grounds for humpback whales. If you are lucky to see them in the sea, you will get to see their magnificent dances as they flap their fins and take dynamic jumps in the water. While waiting for the whales to turn up, we tried fishing and managed to get a small red fish of an unknown species. It was too small so we released it back to the sea. After waiting patiently for almost three hours with no sign of the whales, we called it quits. Unfortunately, we were at the end of the season so it was quite difficult to spot whales at that time. Travellers therefore are encouraged to make sure that they come in the middle of the season to avoid disappointment. Despite not having the luck to see the whales, we actually had fun fishing in the sea and enjoyed the view of the clear waters of Okinawa. Before heading back to the city centre, we had lunch at a local restaurant. We ordered soba (the Japanese noodle) topped with seaweed. I also had the chance to sample the salt ice cream, which was not salty at all but creamy. The lunch, though simple, was indeed fulfilling. Since it was already our last day in Okinawa, the Okinawa Convention & Visitors Bureau brought us to a local restaurant in Naha city to experience dinner like a real Okinawan. Though the choice for halal dishes were limited, we enjoyed the ambience of the authentic Okinawan restaurant, which was intimate and cosy. It was only 10 minutes’ walk away from the hotel where we stayed, which was Double Tree by Hilton. Talk about walking, it is absolutely safe to walk alone in Okinawa. If you ever get lost, you can just drop by at any shop or restaurant or ask a stranger for help. Though most of them do not speak any other language than Japanese, they would be happy to help, making us admire and respect the Japanese even more. On the way back to the hotel, we stumbled upon a local restaurant with about five customers in it, singing and dancing together to traditional songs performed by the restaurant’s performers. The opportunity to join in the fun was too great too pass up, so we spent the night at the restaurant, listening to a local performer playing the sanshin and singing Okinawan traditional songs. Turns out that the five customers in the restaurant, the performers and us became friends instantly – the Okinawans are indeed among the most hospitable we have ever met. 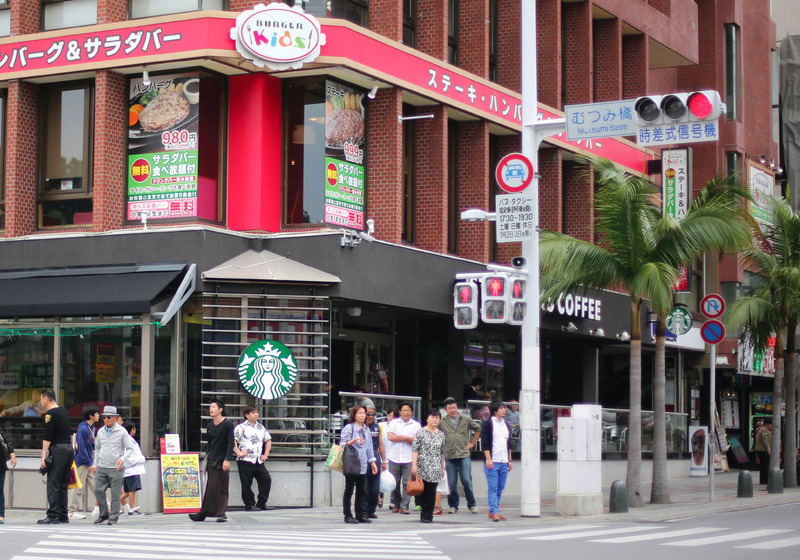 to see the influence of the US military presence through the existence of fast food outlets like the Blue Seal Ice Cream, Burger King and Starbucks, among others. You can also see US military personnel walking in the streets in their smart uniforms buying groceries and hanging around, which makes the destination unique and not found elsewhere in Japan. 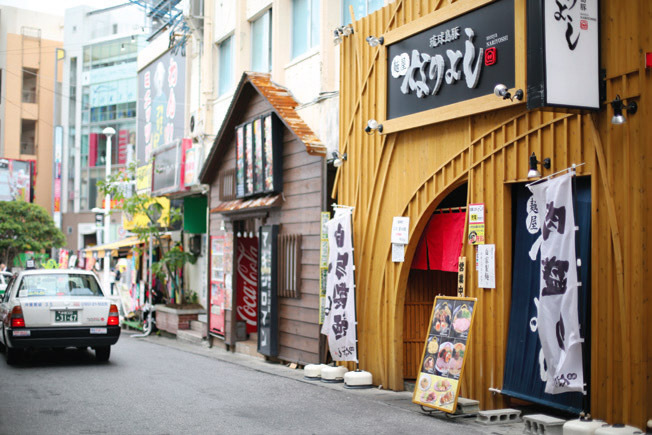 There are also many older persons on Kokusai Street. Okinawans are known to be blessed with because of their healthy diet – they usually eat rice and plenty of vegetables, sea vegetables, seafood, tofu, proper amount of meat and small amount of salt. Seeing a 90 year-old man walking around is quite common in Okinawa. Their healthy lifestyle is definitely something that we Malaysians need to emulate! As we flew back to Tokyo from Okinawa, we spent one night in the metropolis to wait for our flight back to Kuala Lumpur the next day. In Tokyo, we stayed at the Marroad International Hotel Narita, which is 20 minutes from Narita Airport. As we arrived at Narita Airport from Naha, we walked to the terminal located in front of the arrival hall and simply took on the bus. 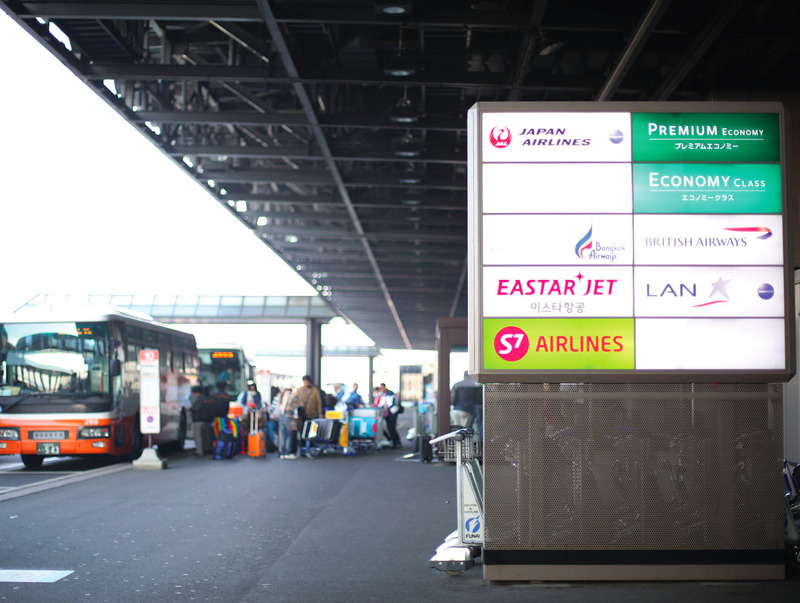 Marroad International Hotel provides free shuttle service between Narita Airport and the hotel. If you are lost, don’t hesitate to ask for help from the airport staff. Though they do not speak English, they are equipped with flight schedules, terminal and bus numbers, all in a folder printed in English. It is really convenient and safe especially when you are travelling alone and on transit. Well, finally it was time for us to fly back to Kuala Lumpur on Japan Airlines, highly regarded for its punctuality, efficiency and professionalism yet graceful at the same time, which are all Japanese characteristics. Sayonara Okinawa, till we meet again! For more information, check out www.visitokinawa.jp. Gaya Travel Magazine extends our heartfelt gratitude to Okinawa Convention & Visitors Bureau for inviting us on the familiarisation trip to Okinawa, including Japan Airlines for making the journey to Okinawa as smooth as the Okinawan breeze.